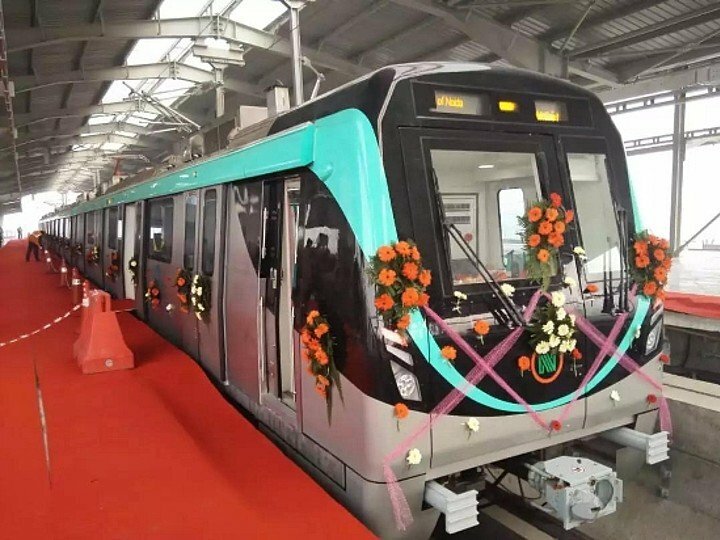 Noida: The Noida Metro Rail Corporation (NMRC) has started trail runs on the Noida-Greater Noida stretch from July 25. The trail run will be conducted in 15 stations out of 22. Currently, trails were conducted till Sector 146 station only which is the 8th station on the route from the depot that lies in Greater Noida. Officials of NMRC shared that they hope that trial runs covering the entire metro stretch be covered within a month. Executive director of NMRC, PD Upadhyay said that with this trail run they will be able to cover all the 15 stations in totality. All the trial runs are been supervised and conducted by the Research Design and Standards Organisation (RDSO). This extended trial run that began from July 25 will be covering 23km line out of the total of 29.7km. At the moment the Noida metro line was covering 10km stretch starting from Delta to Sector 146. NMRC will have to complete the trail runs and then they will have to get speed, safety and oscillation certification from RDSO. There are several pending tasks that NMRC will have to complete which includes completing electrical work at several stations. These have to be completed in order to get necessary approval from RDSO. The final lap that Noida Metro will have to meet after RDSO’s nod is the approval from the chief metro rail safety commissioner, which is the ultimate authority. Once the metro rail officials receive clearance from them, the services will be made operational for commuters.